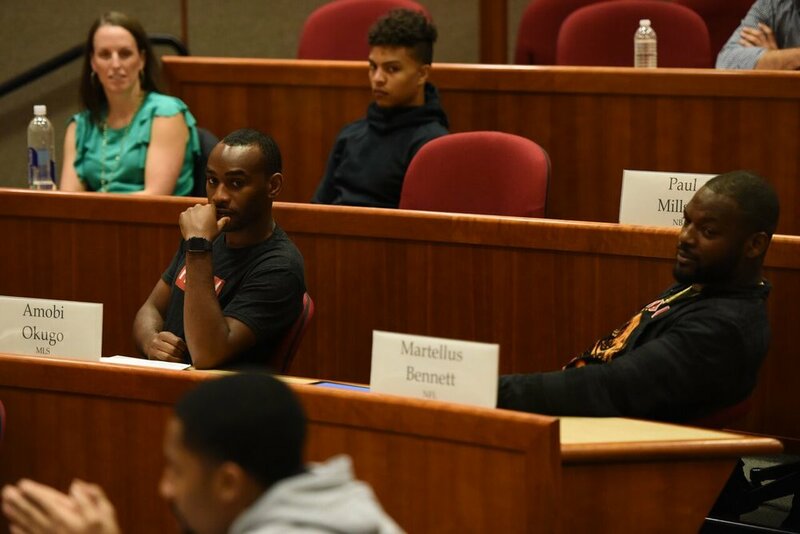 The orientation took place on the Harvard Business School campus where we were graduate participants for the day. We sat in on a case study during an actual class with MBA students and then had our own case study class. After the day of classes, we chose our mentors that will help us throughout the course of the semester to develop our own business skills. As you may have already assumed, these mentors are some of the brightest young minds in the world with experience in all different sectors. It was a great experience to take part in. Harvard learning is based on the Socratic method which means cooperative argumentative dialogue between individuals based on asking and answering questions to stimulate critical thinking and draw out ideas. As they say, iron sharpens iron! Being able to see that firsthand was a great experience for the professional athletes. As a professional athlete, it’s amazing that these opportunities are available to us. It’s so important that athletes take advantage of the resources given to them. You never know who you might connect with at one of these programs or what lesson you can take and carry out to your own business. Whether it’s in the offseason or during the season or in person or online, continued education and learning will help you in more ways than you know. Leagues like the NBA, who partnered with Harvard to start this program, are finding engaging ways to help athletes break the mold.